Comedy fans' faith in monogamy was shaken by news this summer that the shock comedienne and jovial talk show host were parting ways. 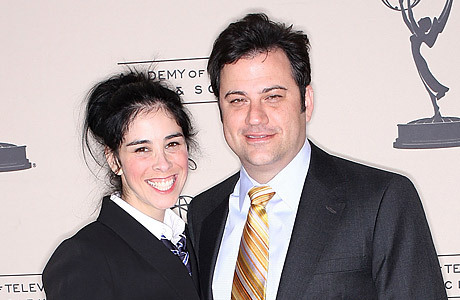 Sarah Silverman, 37, and Jimmy Kimmel, 40, seemed like a match made in humor heaven. They met at a roast for Hugh Hefner, and Kimmel hired Silverman to do voices on his show Crank Yankers. The two often joked publicly about their relationship and celebrated their fifth anniversary in February with dueling parody videos about sleeping with Matt Damon and Ben Affleck. This breakup may not last, however. Spotted at a GQ party in November and asked by Us Weekly how it felt to be back together, Silverman replied, "Zesty!" Kimmel added, "Who said we were? I don't even know that woman! She was hitchhiking!"